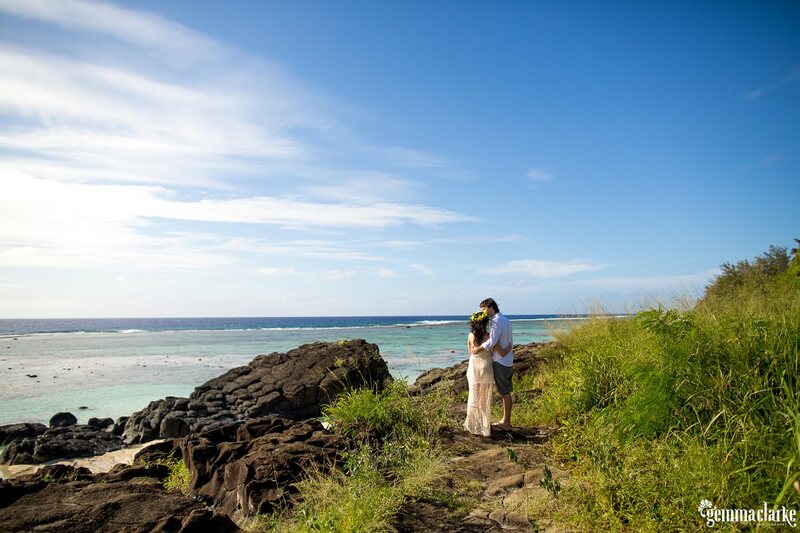 We arrived a few days before Natalie and Alex’s wedding so we could do some scouting around the main island of Rarotonga in the Cook Islands. 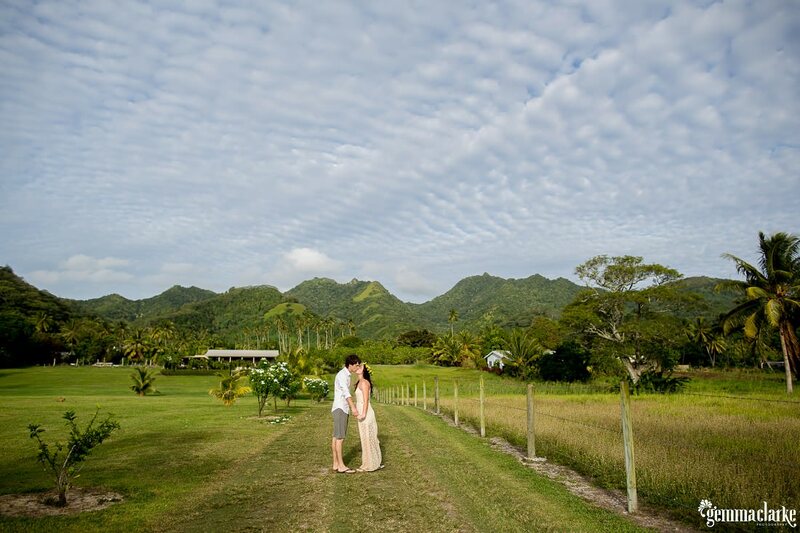 We found some fabulous places – Black Rock, overhanging palm trees with coconuts galore and a spot with an amazing view of the mountains. 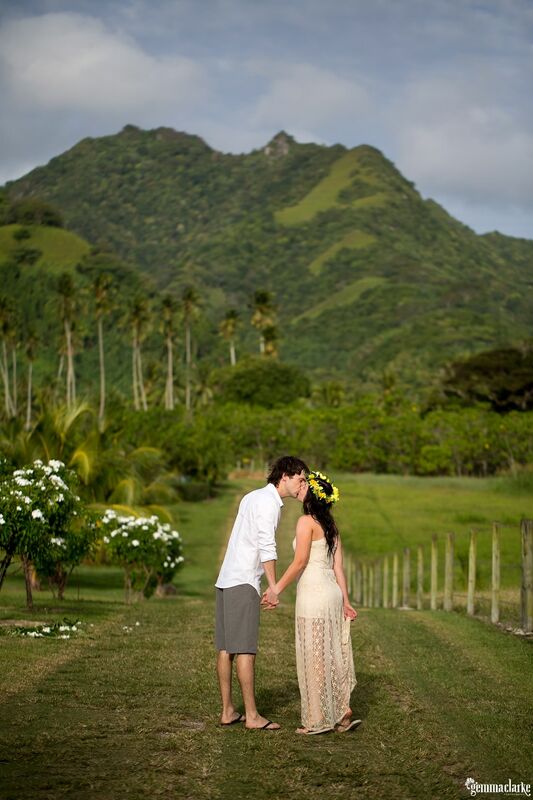 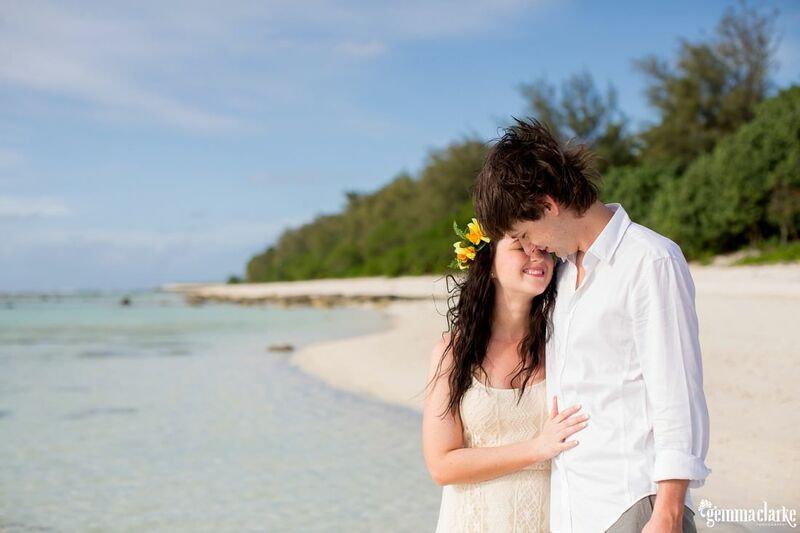 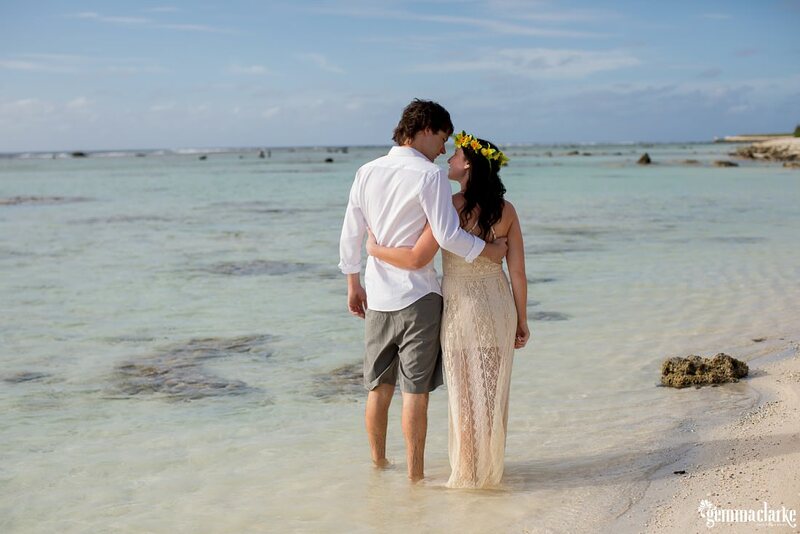 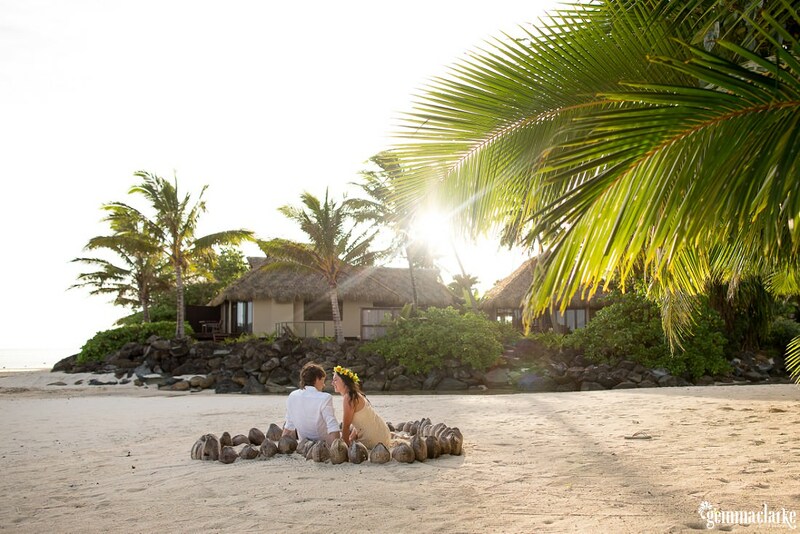 It made for the perfect backdrop for Natalie and Alex’s portraits in paradise. 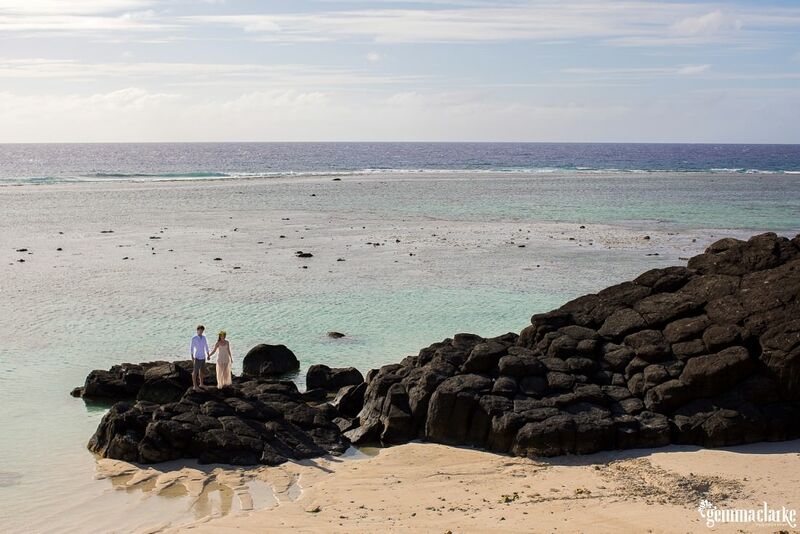 The best part of the Cook Islands is it’s variety and ever changing landscape as you move around the island. 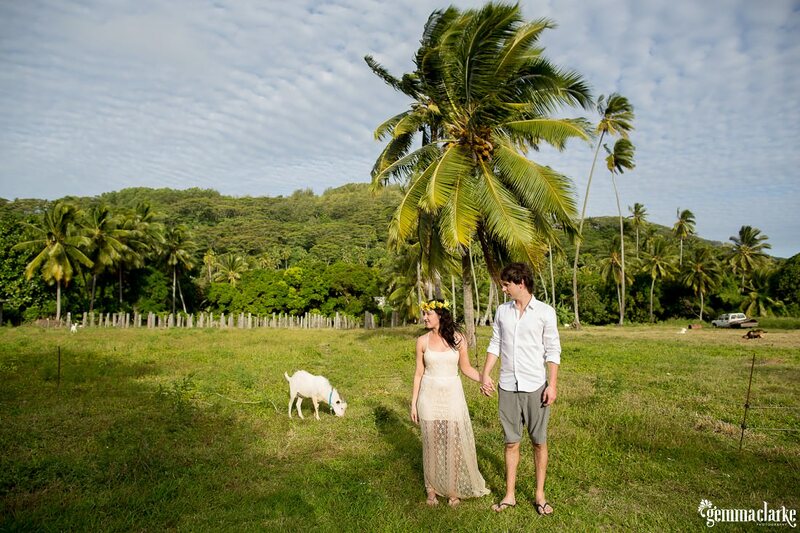 The portrait session offered the couple a chance to really explore the island for the first time. 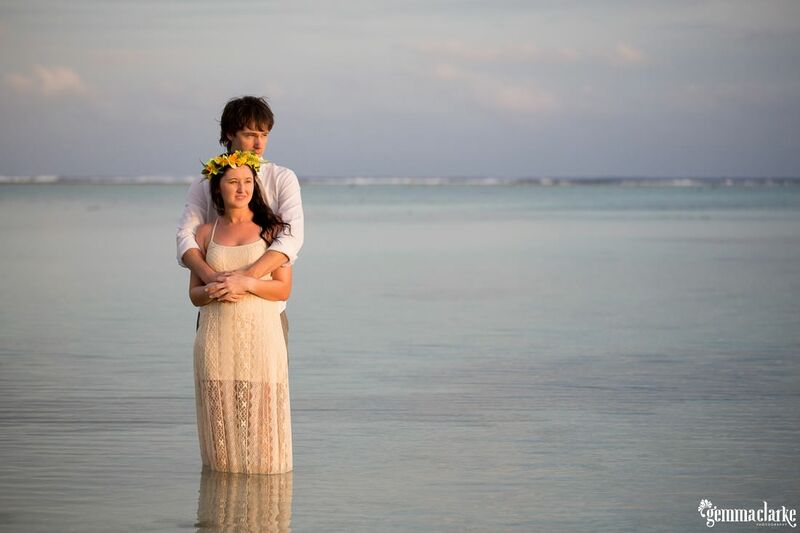 Therefore it was more an adventure and that is what portrait sessions should be about, an experience in themselves! 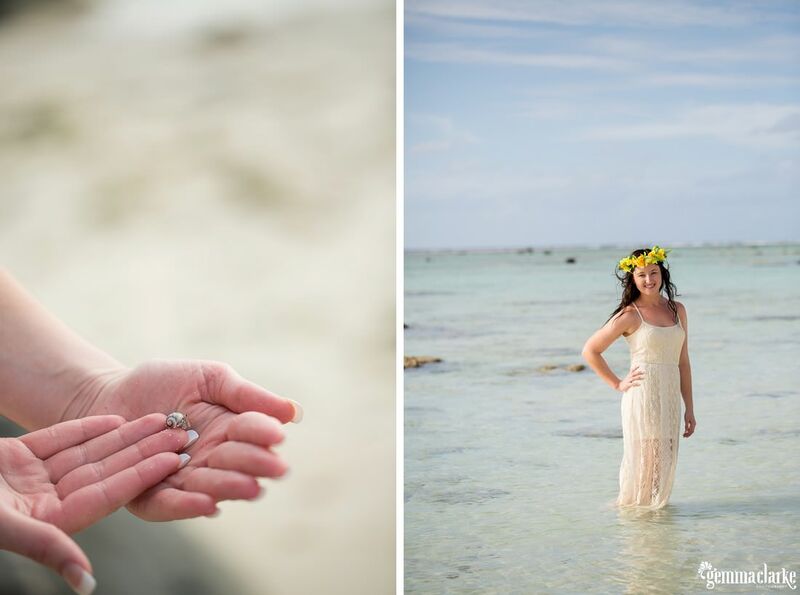 We had a lot of fun and we were lucky enough to get some sunshine and some calm waters after quite a windy few days. 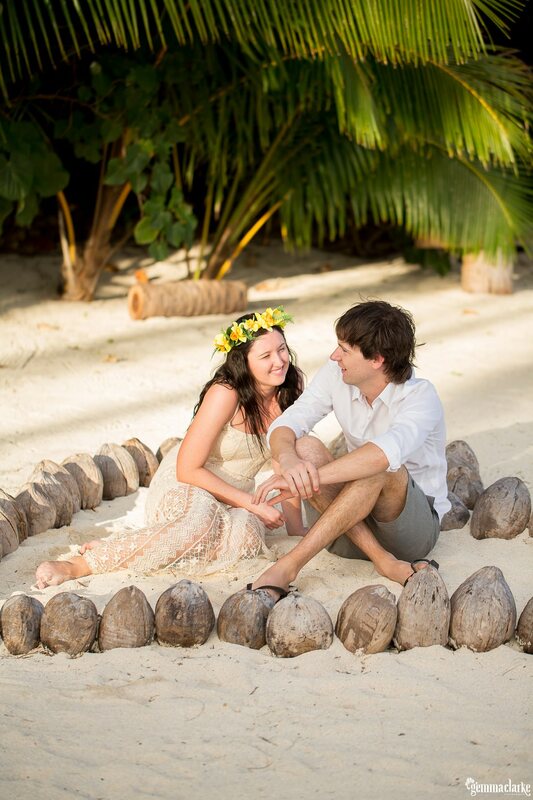 We were spoilt for choice when we found a heart-shaped coconut trail on the beach. 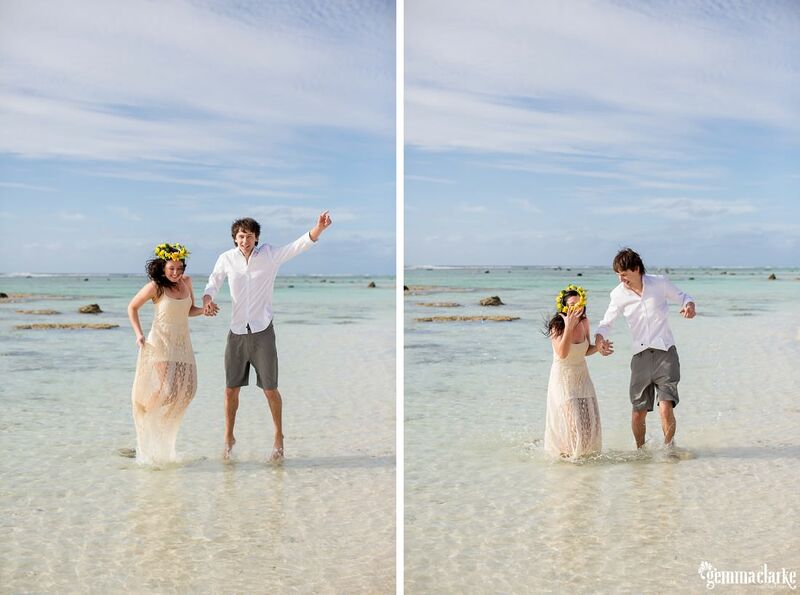 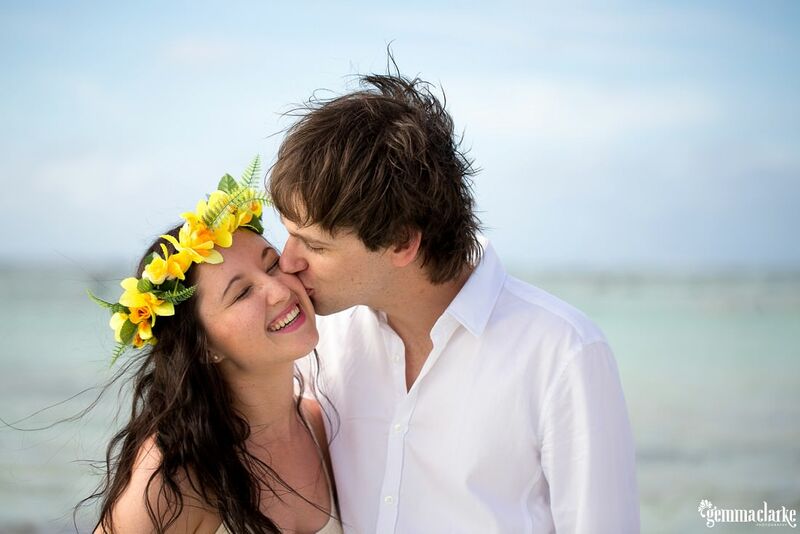 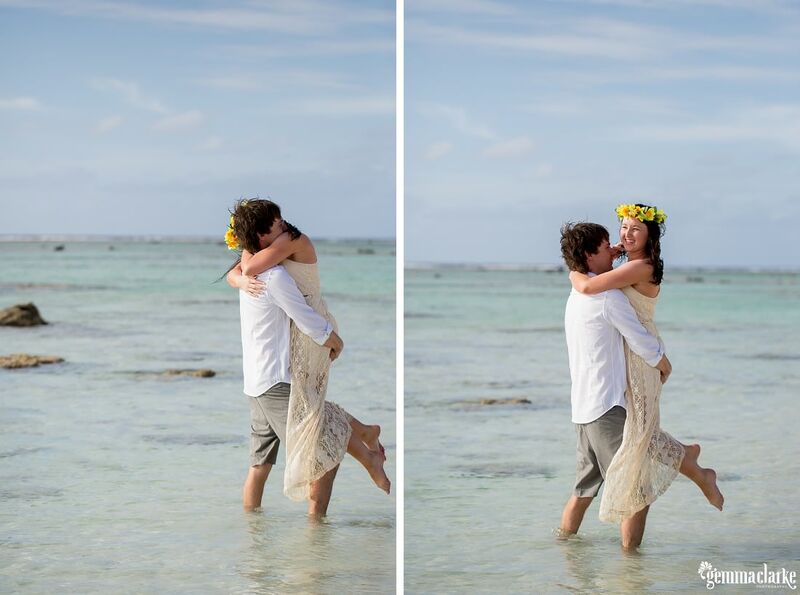 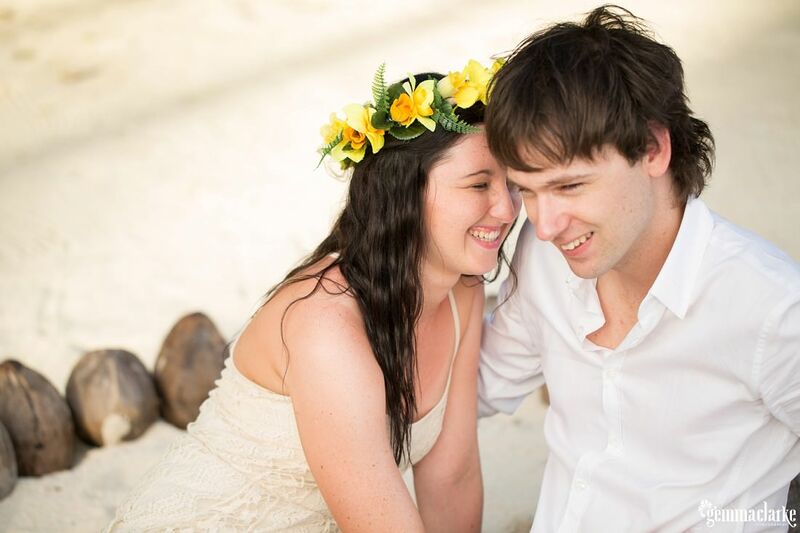 Natalie chose to wear a floral headpiece she bought at the local shop to get into the tropical feel of the photos. 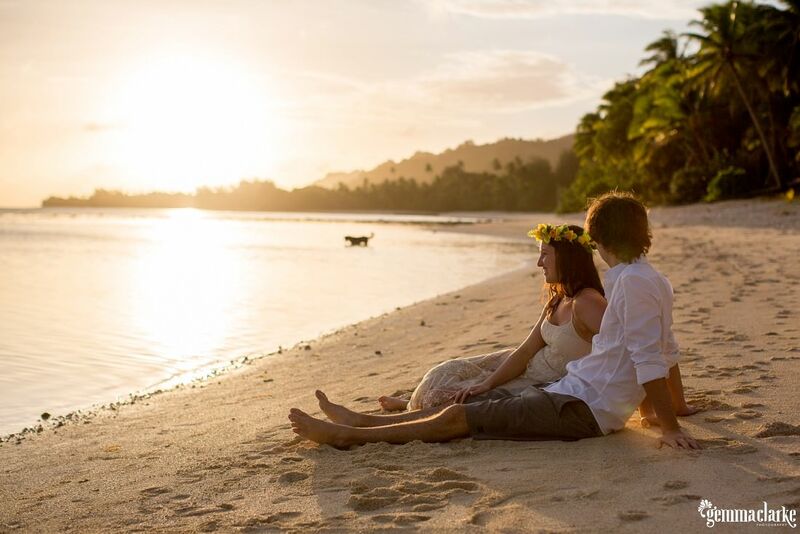 At the end of the afternoon Natalie and Alex sat on the beach watching the sunset and a stray dog playing in the water in the distance. 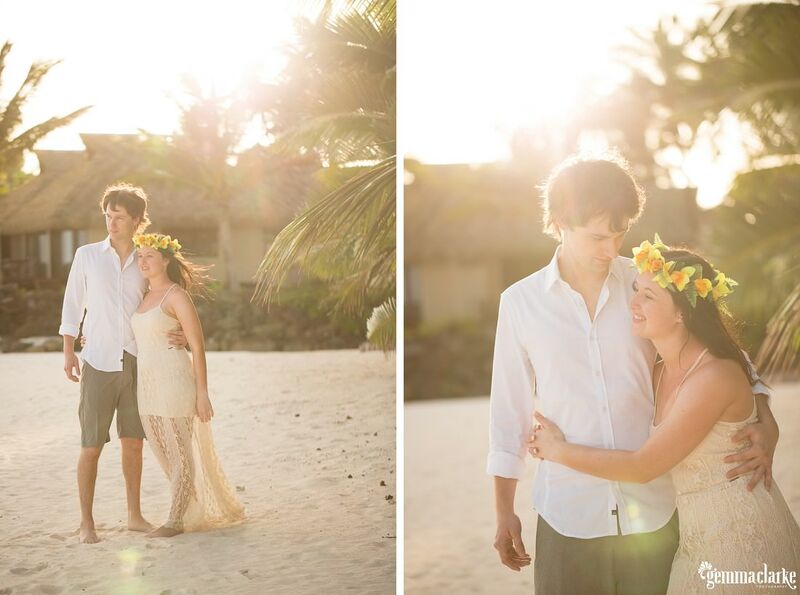 It was a very relaxing time and the perfect end to their portraits in paradise. 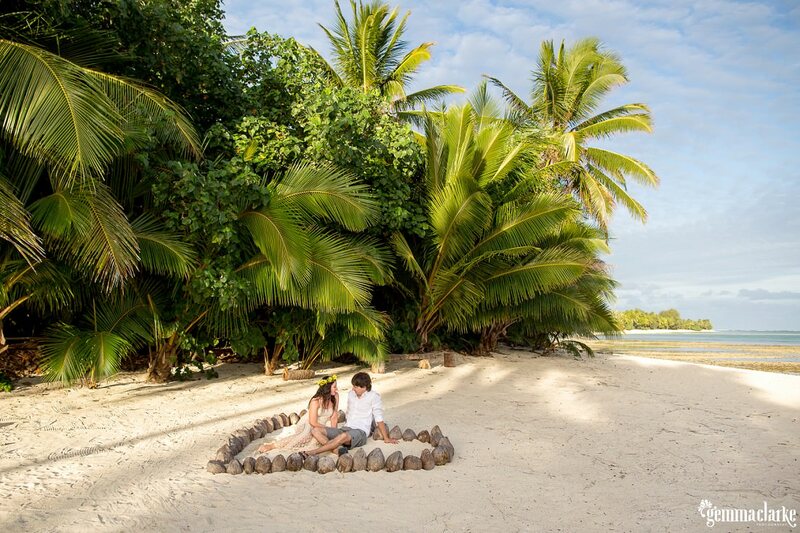 If you are interested to see all the amazing things the Cook Islands has to offer, be sure to check out Cook Islands Tourism. 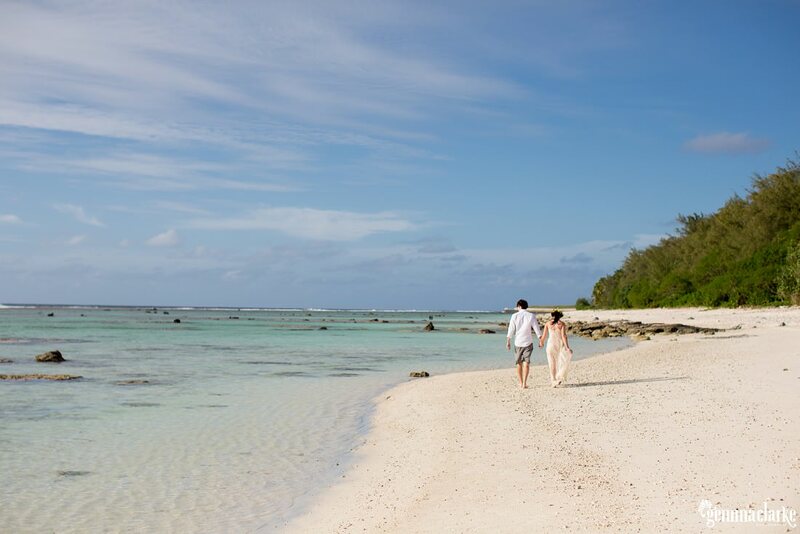 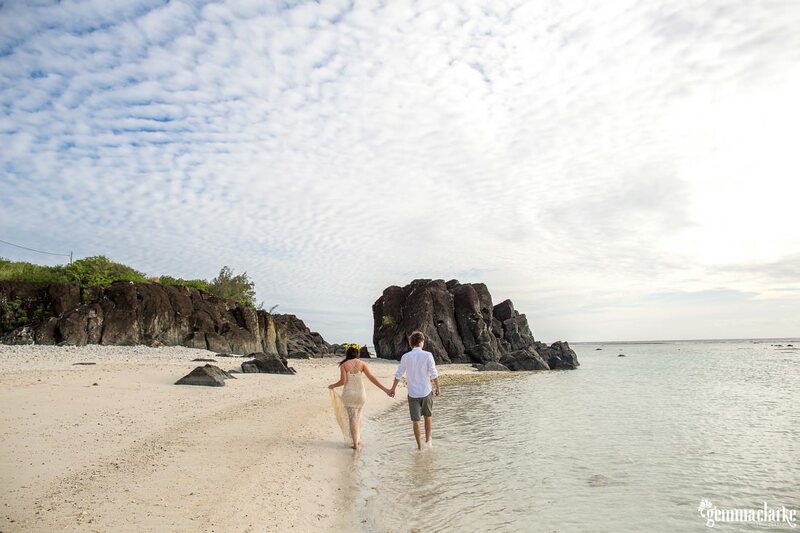 I would highly recommend to visit the outer island of Aitutaki – it is also amazing paradise. 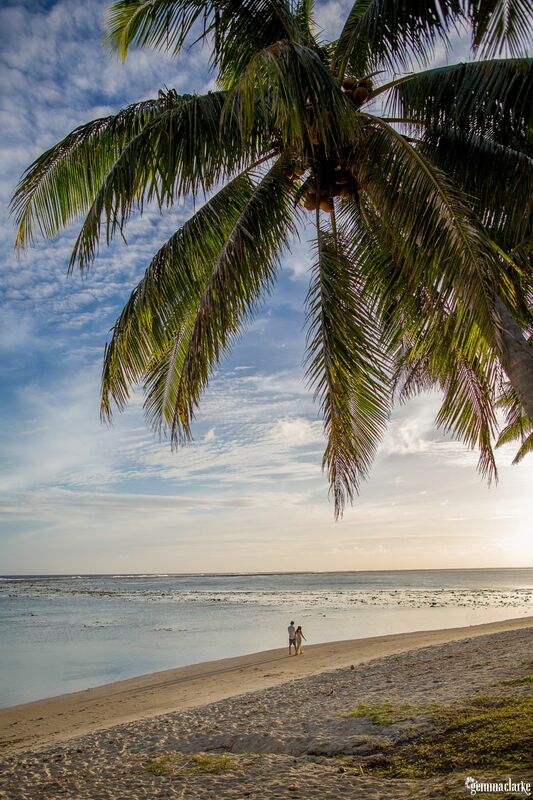 When you think of an oasis, this is it, it has all you want, hammocks swaying between palm trees, and crystal clear water and the whitest sand you will ever see! 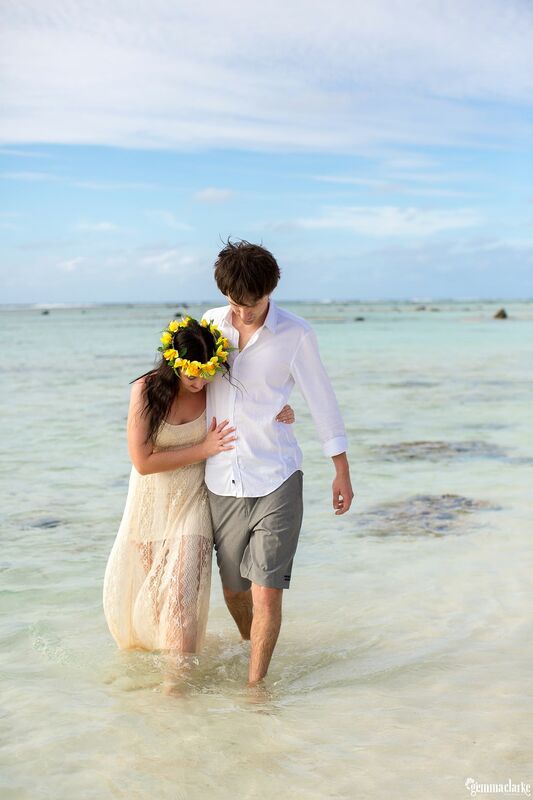 The snorkeling is also amazing in the Cook Islands. 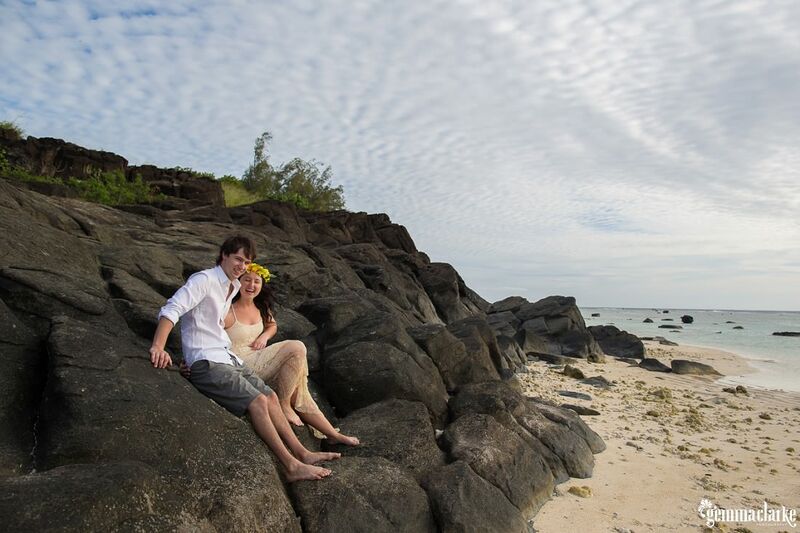 We were able to see so many colourful fish from our kayak!